Looking for something interesting to take your beloved to? Looking for inspiration yourself? Or hope perhaps? Or peace? Fascinated by the arts? Fascinated by what's new? 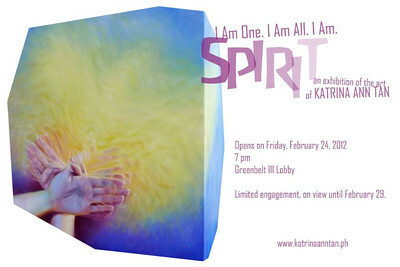 Then make sure to catch Katrina Ann Tan's exhibit at the Greenbelt III Lobby on February 24-29, 2012. Her works are definitely uplifting, homegrown, all-organic and even prayerful, one might say.